A plane crashes on an uninhabited island and the only survivors, a group of schoolboys, assemble on the beach and wait to be rescued. A plane crashes on an uninhabited island and the only survivors, a group of schoolboys, assemble on the beach and wait to be rescued. By day they inhabit a land of bright fantastic birds and dark blue seas, but at night their dreams are haunted by the image of a terrifying beast. In this, his first novel, William Golding gave the traditional adventure story an ironic, devastating twist. The boys' delicate sense of order fades, and their childish fears are transformed into something deeper and more primitive. Their games take on a horrible significance, and before long the well-behaved party of schoolboys has turned into a tribe of faceless, murderous savages. 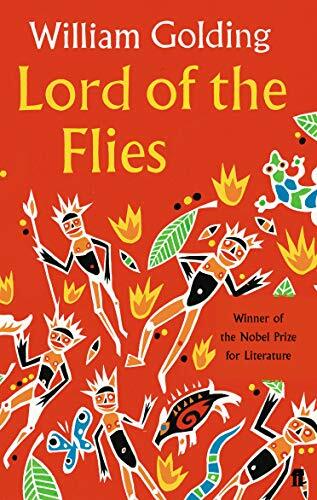 First published in 1954, Lord of the Flies is now recognized as a classic, one of the most celebrated of all modern novels. The book has been read but remains in clean condition. All pages are intact and the cover is intact. Some minor wear to the spine.